Turn to the skilled team at Liberty Exteriors & Construction LLC to deliver the finest in exterior remodeling. Our Johnstown, Colorado-based exterior contractor is your premier choice for storm restoration and more for both residential and commercial structures. Whether you need a new roof, siding, or a full exterior remodel, we've got the perfect solution. Our team is professional and the work is always rock solid. We also have several Insurance Claims Specialists and a Licensed Insurance Adjuster on-staff to ensure you have no headaches and that your project moves forward quickly without being shortchanged by your insurance company. When you're looking for quality exterior renovations, upgrades, or even a whole home makeover, turn to our professional team. 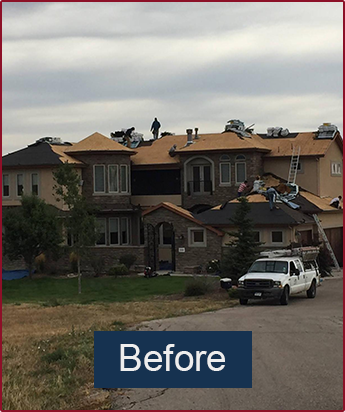 From start to finish, we can help you bring new life to a damaged structure, or refresh the look of your aging home or business. Check out our gallery and call on us for a free inspection today. Get exteriors done the right way, every time. 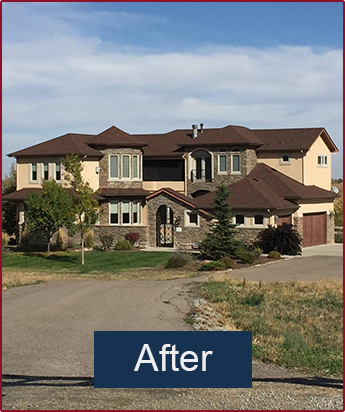 Call (720) 526-0029 for your free exterior inspection today. Our dedicated team specializes in storm damage restoration, we repair damages caused by hail & wind to roofing, gutters, siding, windows, and paint. We are also experts in insurance claims processing, with several Insurance Claims Specialist as well as a Licensed Insurance Adjuster On-Staff so you can be sure your claim will be handled promptly and professionally. Our goal is to ensure that you, the Homeowner, are taken care of when you're hit by a storm. Thanks to our experience in the storm restoration industry, we can ensure you get the help you need. We know what it takes to repair your home or business following a storm, which is why we have been helping homeowners meet their repair needs with 30 years of storm restoration experience.